Execute the main business procedures involved in sales and distribution processing. Implement the main functions and Customizing settings in sales and delivery processing. Implement functions and make Customizing settings in pricing and billing. Use functions and Customizing settings in general sales and distribution processes such as output and text determination. Utilize your knowledge directly as a junior consultant in your first period of practice. To lead to SAP Certification in SD. Certification test can be taken in any SAP offices around the world. The SAP Navigation course is designed to familiarize learners with key terms and how to navigate within the SAP system. This course is meant to familiarize you with the principles and terminology of the SAP Solution Manager. You will be introduced to the benefits of using the SAP Solution Manager during the implementation of your SAP solutions and during ongoing support and operations. Processes in sales and distribution: organizational structures in sales and distribution, working with customer and material master data in sales and distribution, overview of the process chain for sales order processing, introduction to pricing in sales and distribution, introduction to the availability check, sales and distribution processing with make-to-order production, credit memo processing and returns processing, introduction to sales and distribution reporting. Sales: Creating and processing sales orders, sales document types, item categories, schedule line categories, document flow and copying control, partner determination, contracts and scheduling agreements, special business transactions, incompletion logs, material determination, material listing/exclusion, product selection, free goods. Mini case study in sales. Delivery processes: Controlling outbound deliveries, creating and processing deliveries, picking, packaging, goods issue. Help Desk Support is provided for the participants to enable them to understand the training material, resolve queries and assist in assignments during the access period. In this timeframe, the participants will get access to training systems to work through the exercises and demo scenarios. Monsoon eAcademy (by SAP Learning Hub) learning process is the proven online learning program launched by SAP since 2007 and rolled out by SAP globally since 2008. After sign up, please contact your SAP eAcademy Representative for activation process, and then student can begin taking the Academy lessons online using the provided ID to access the class materials online from anywhere and anytime. The access is valid for 12 months. Official SAP books/print out based on the modules student has signed up for. A student may be able to complete the course and ready for certification from the materials provided, which consists of simulated and guided animations for exercises. However, it is advisable that the student gets real SAP IDES servers to do some hands-on exercise. Typically, about one (1) or two (2) months of server access would be sufficient for the student. Student can subscribe to SAP servers from Monsoon Academy (please see pricing), which can be purchased separately on monthly basis. After student finishes all the materials (with or without actual server practice) he/she will get COA (Certificate of Attendance) that can self-printed as a proof that student already finishes the training and eligible to take the certification test in SAP centers throughout the world. Within 7 days after sign up, student can begin taking the Academy lessons online using the provided ID to access the class materials online from anywhere and anytime. The access is valid for 12 months. Counsel you as to when you should activate your SAP IDES server within that 12 months of access. Put you in contact with Monsoon student program counselor who will help you in your career. Put you in our database of Monsoon alumni, and our recruitment arm, www.MySAPExpert.com, who will monitor and propose you to prospective employer, especially when you are certified. In this mode of learning, student can learn at his/her own pace without having to follow anyone`s schedule. All materials come directly from SAP and the materials are same as standard materials provided by SAP throughout the world. 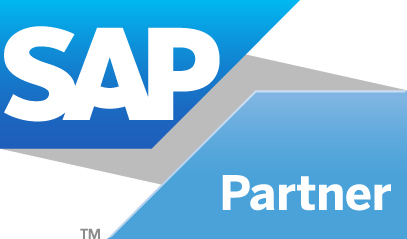 Unlike other SAP academies, which only produces Certificate of Completion or Certificate of Attendance, Monsoon SAP eAcademy program leads you to the SAP Associate Consultant Certification program. When you have finished your materials and you have performed all the necessary exercises, you should be ready to take the certification. Monsoon Student Service is there to help you to register for the certification. We will inform you of the time and you can make certification test payment to confirm your slot on the test. On the day of the certification test, you will come to the SAP office in Jakarta to take the three-hour test. Once you have passed, you will be notified of your result instantly and Monsoon Academy will notify you when we have received your Certificate from SAP head quarter in Germany.